Selecting a platform for hosting and managing your project is like choosing a partner for marriage – if you make the right choice, it will be long-term and happy relations. In 2012 İsmet Özalp, developer and co-founder of Hive, made his choice and never had any regrets during the last five years while running the ship management software Navatom at the Jelastic platform based on dogado infrastructure. Currently, Navatom has more than twenty modules, 3,000 users and is operating the ships all around the world. And after some time of using Jelastic PaaS functionality, İsmet Özalp became not only the customer but also an advocate of our product within Turkish dev community. Several times İsmet was presenting the platform possibilities at the DevFest Istanbul, provided his feedback at IT Central Station and in interview with us. So today we’d like to share the latest updates and thoughts of İsmet on his experience in running Navatom in the cloud. 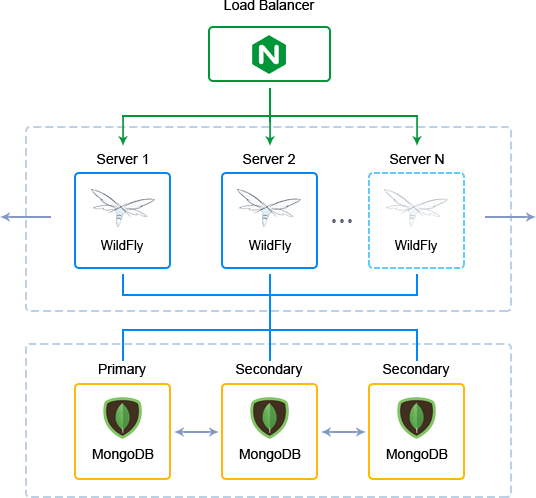 Our traffic is automatically distributed with NGINX load balancer, and we use WildFly as an application server and MongoDB as a database. We created all these with the help of default container templates right from the environment topology in Jelastic dashboard. Currently there are more than 15 instances running inside Jelastic, including dev, test, and production (Jenkins, SONAR, Nexus) environments. Why did you choose Java runtime? What were the key reasons to host your project on Jelastic? What other hosting solutions did you previously use? We were using AWS, and they did not have an easy setup process – we had to configure, setup and maintain everything ourselves. Jelastic helped us a lot and made these operations trivial. We are still in a hybrid state right now – some environments are containerized, and the others are still in VMs. But a plus is that we can easily move everything to containers without changing our code when it is required. Currently, most of the support services for our main application are already running from containers. And again during migration we haven’t done any changes in our codebase. What was the cost difference? We were trying to adopt microservice architecture before migration to containers. But the cost of a single VM was too high, so we had to serve some services from the same VM. After migration to Jelastic container-based platform, running the same number of instances costed us much less than on AWS. Also, we don’t need to pick instances for highest load any more and overpay, because of Jelastic automatic vertical scaling, so we are pleased with the end result. We have been working with dogado and Jelastic for quite a long time, and I am pleased to see how Jelastic transformed during this time. It`s great to see available most of the elements that I identified as missing at the very time we have joined Jelastic, this proves high responsiveness to customers` feedback. Thank you, Ismet! We are always open to your feedback! If you’re hunting for a solution to make your project more agile, automated in aspects of the environments setup and scaling, as well as more efficient in terms of TCO, then follow the example of Ismet and try Jelastic PaaS!